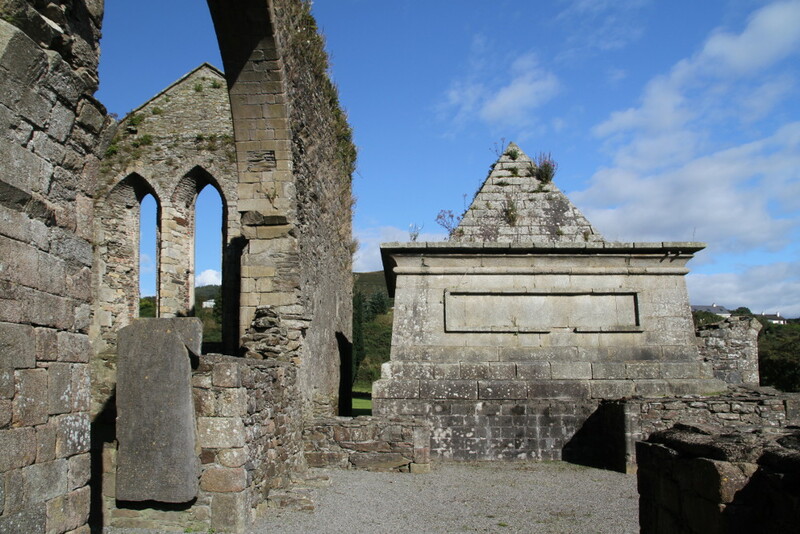 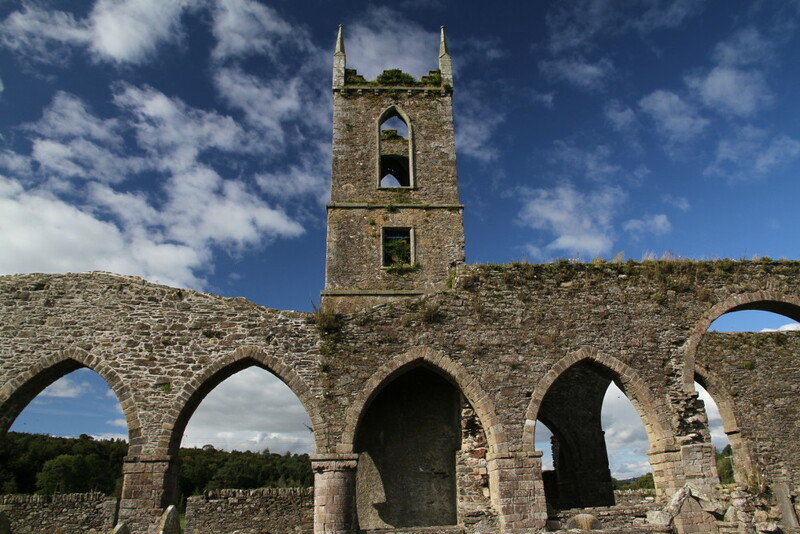 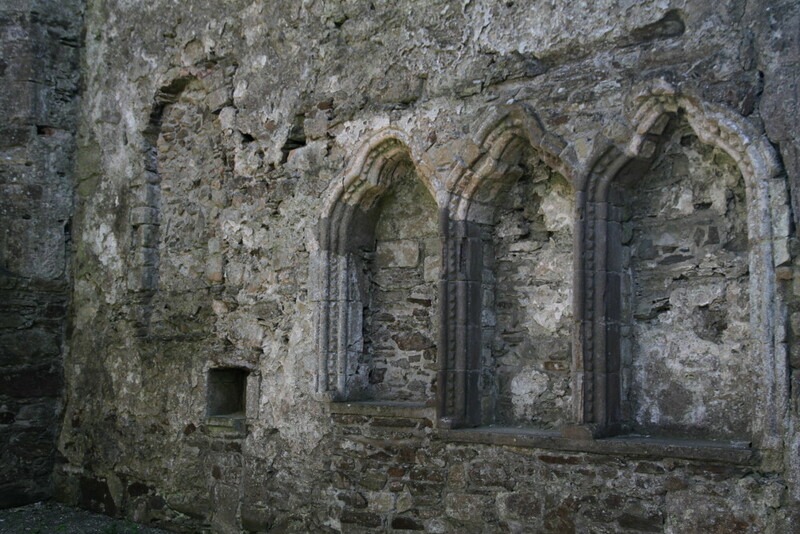 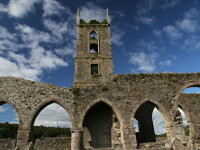 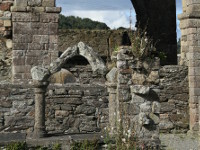 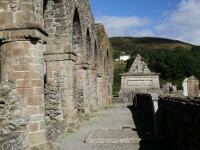 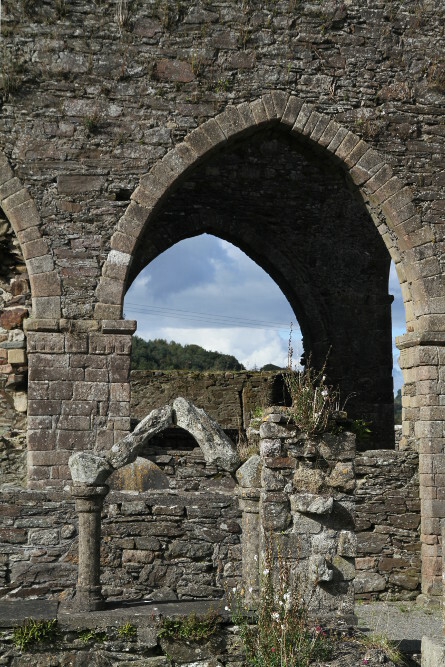 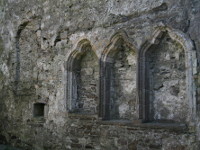 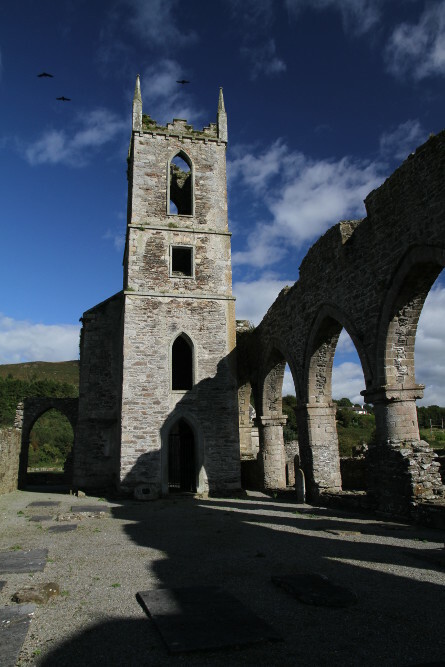 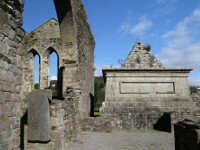 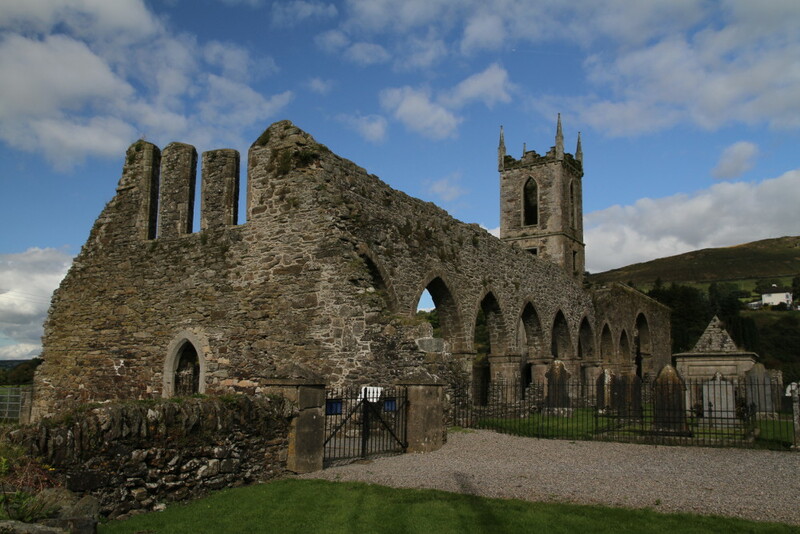 The ruins of Cistercian monastery located in Baltinglass (Co. Wicklow), date back to the 1148. 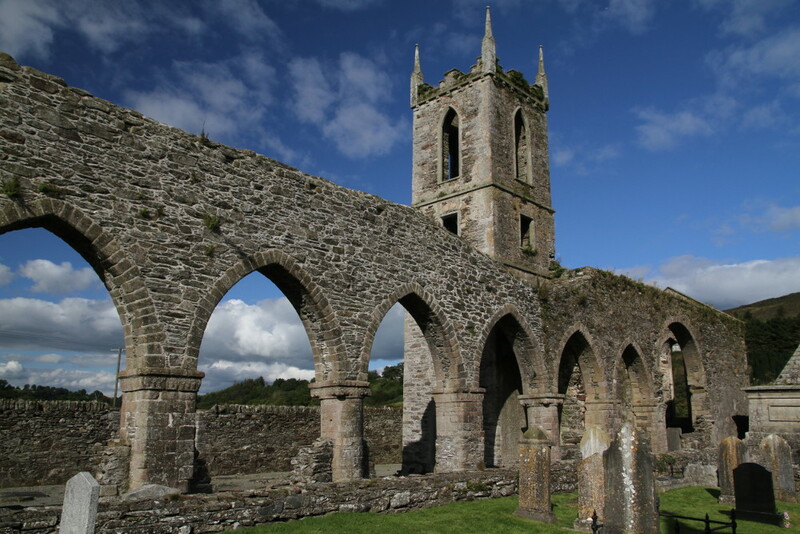 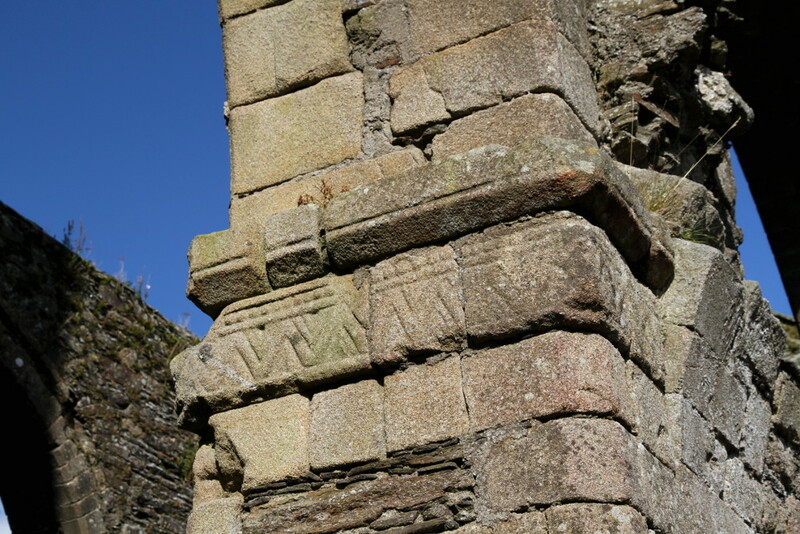 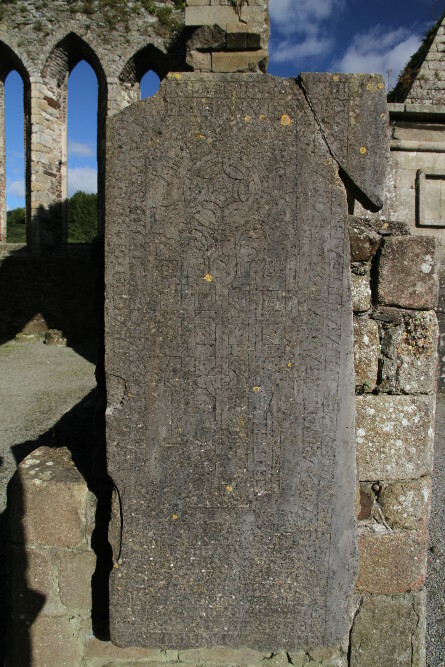 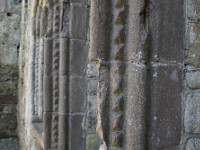 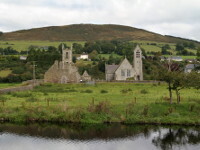 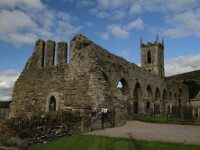 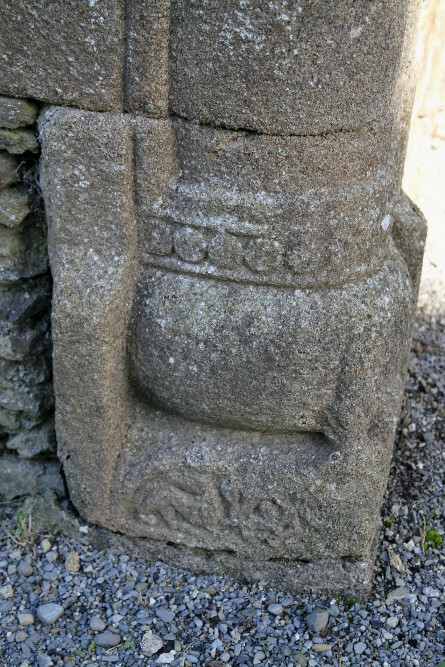 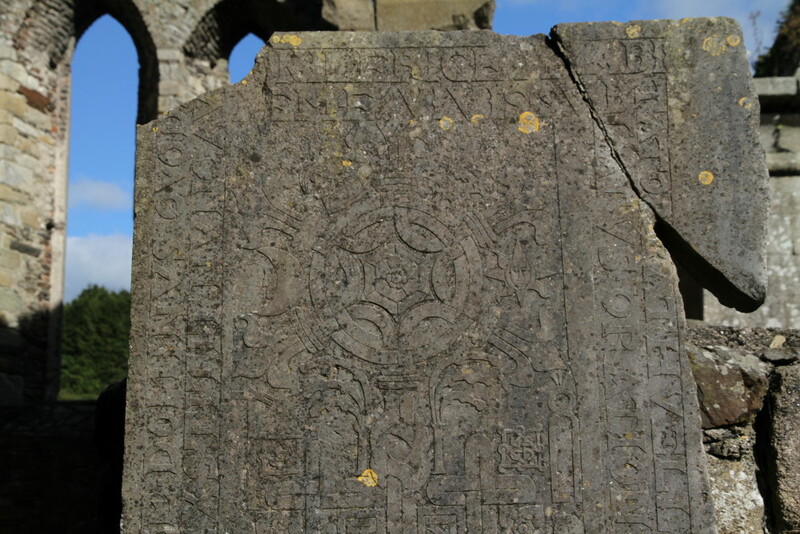 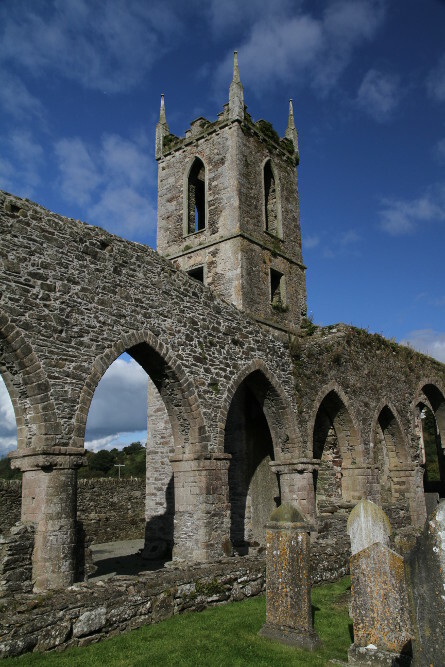 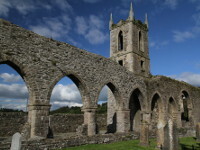 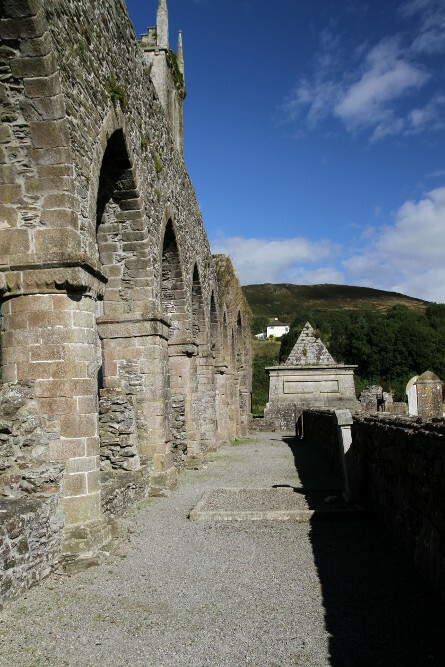 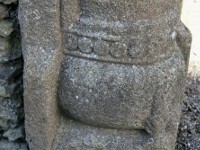 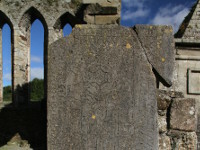 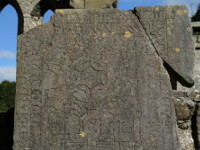 The Baltinglass Abbey was founded by King of Leinster, Diarmait MacMurchada (most known for inviting Normans to Ireland to help him to fight his political rivals) and colonised by monks from Melinfort Abbey in Co. Louth. 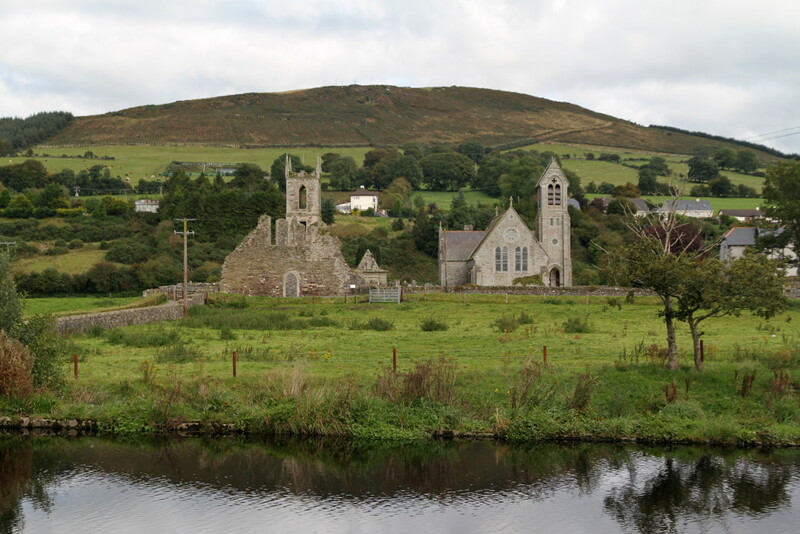 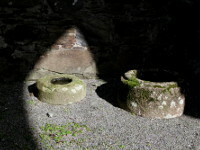 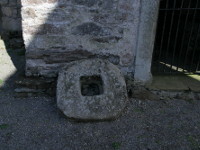 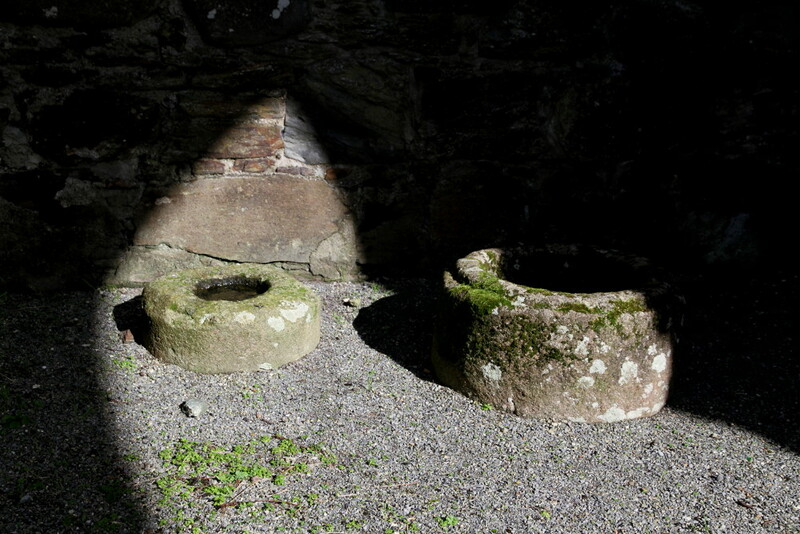 In its heyday it was live thriving place, with big community of Cistercian monks and many domestic buildings. 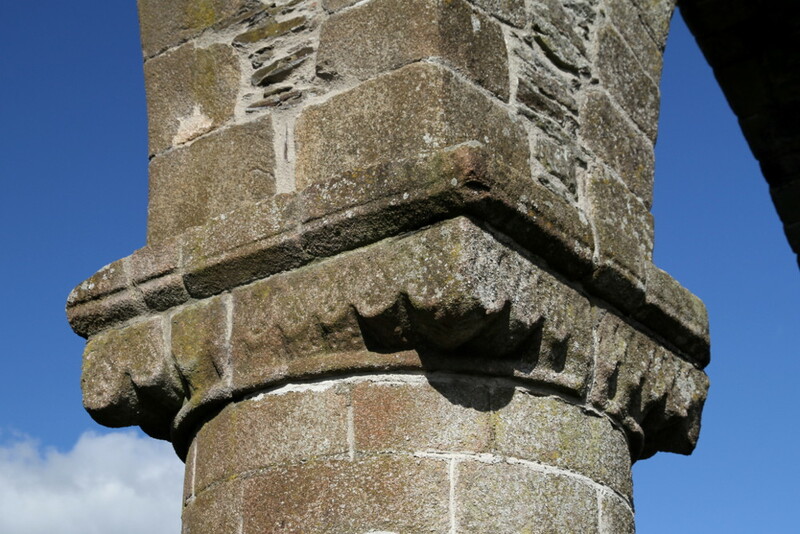 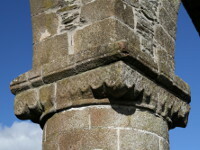 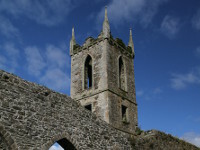 The church tower was added in late Medieval period and was rebuilt in the neo-Gothic style in 1815. 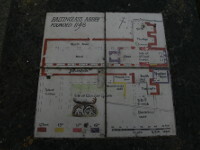 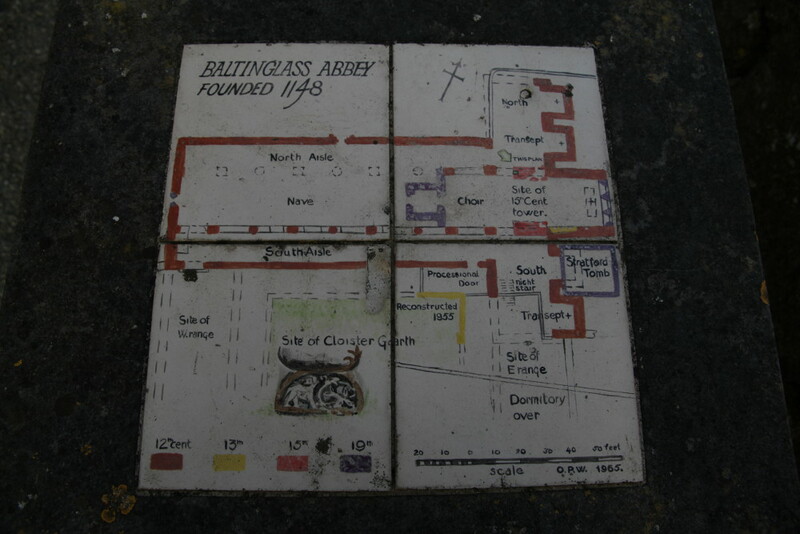 After the Dissolution of the Monasteries under King Henry VIII, Batlinglass Abbey was suspended in 1536. 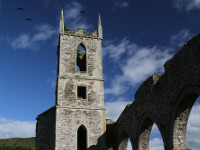 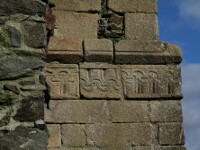 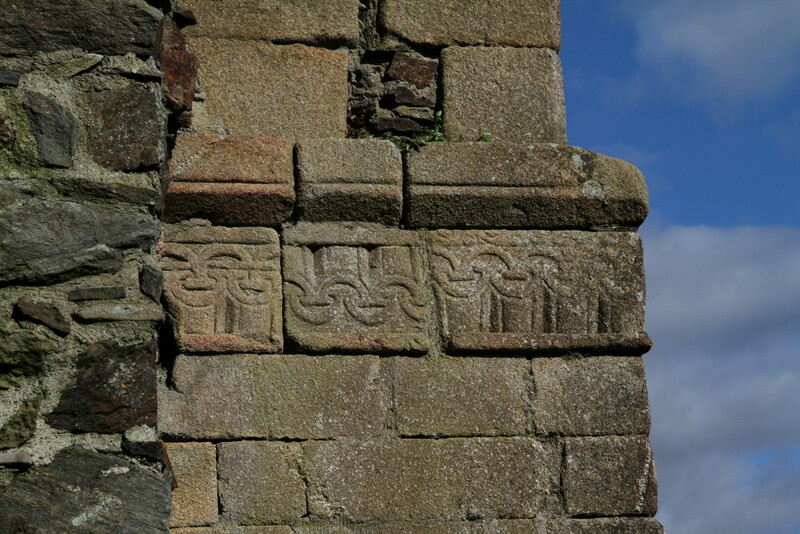 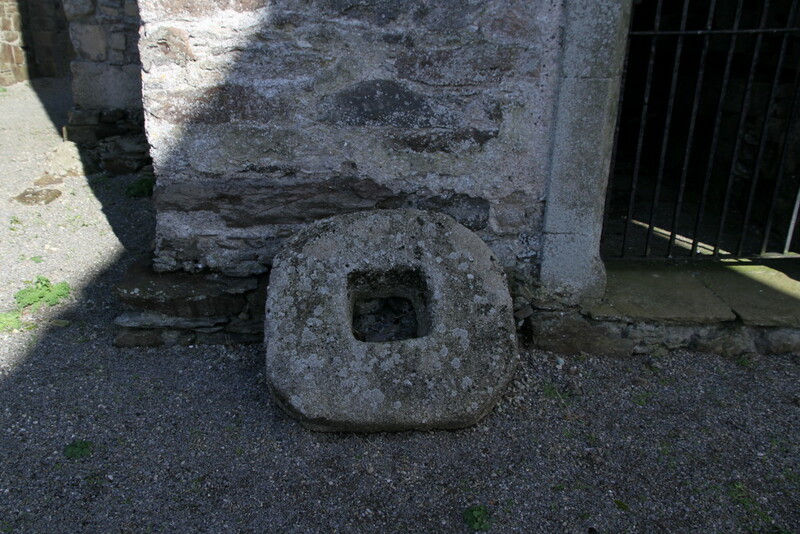 The eastern end of the church was adapted to the Church of Ireland (Protestant church) and was used until 1883. 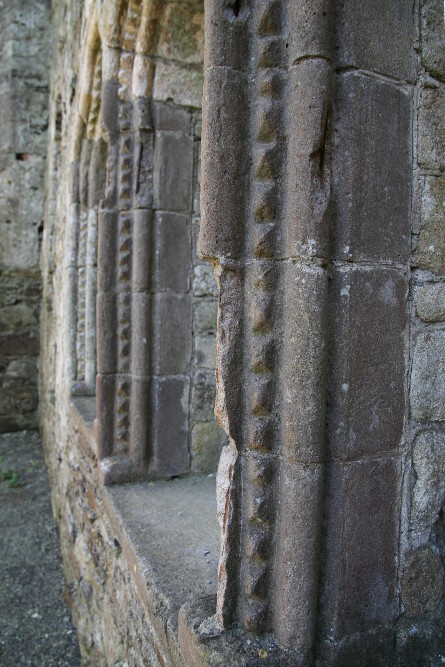 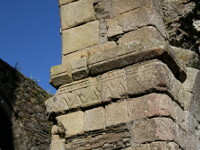 Between the most interesting features of the abbey you will find the large decorated tomb slab (dating from 1605), well preserved sedilia in presbytery and decorated capitals of the pillars of southern nave arcade.